The Blood Moon is a term that has been sometimes used to refer to four total lunar eclipses that happen in the space of two years. This is a phenomenon astronomers call a lunar tetrad. The eclipses in a tetrad occur six months apart with at least six Full Moons between them. Just saw one last night that was close and is preparing to the total lunar eclipse that will take place on August 21st, 2017. This event lined up with the Economic Confidence Model which was very interesting (2015.75). 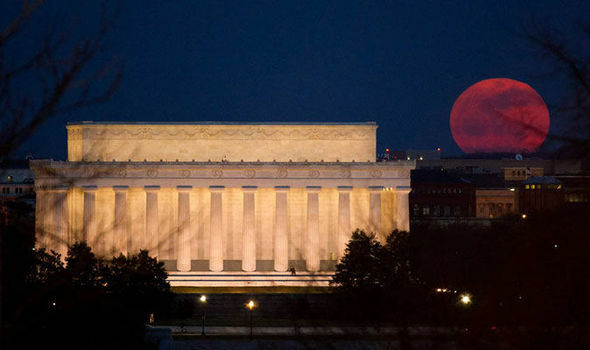 However, all the reports of impending doom due to the Blood Moon prophecy that the world would end back in 2015 were clearly exaggerated, especially since 8 tetrads since 1 AD have coincided with Jewish holidays without the world going coming to an end. Now the 21st, we have a total eclipse over the United States. The world will not come to an end. Yet this type of analysis is always the same – one-dimensional. They always seek to tie some effect to a single cause. This is in all fields even medicine as well as economics. This is just a human tragedy why too many people try to be analysts and just make a mess of the whole thing.